Married, Mary Woodgate. Nov 1791. Married Henry Harben, Nov 1791. Married, Mary Woodgate, 28 November 1791, Lewes. Given the number of (and later prominence of their descendants) it is surprising that little is known of Henry Harben. What is known is that he was a brewer in Mile End, London and later a wholesale cheesemonger (and maybe a grocer) in Whitechapal, London. 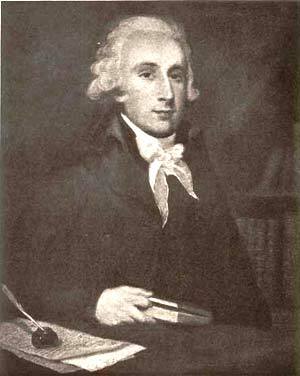 Henry grew up in Lewes, and sometime between 1798 and 1803 relocated to London. The reason for the move is unclear; his father was still very much alive, successful, and as politically active as ever. Henry at this stage would have been in his late twenties / early thirties and already had five children and presumably was quite settled in Lewes. Once in London, Henry Harben showed little of his fathers interest in politics. Although he did have some form of relationship with the London Hospital. He appears in 1818 as a member of the House Committee (The Times, 23 Oct 1818, page 2), and again in 1828, as a Steward of the London Hospital Accumulating Fund, on the occasion of the Friends of the London Hospital dinner – which I assume is some kind of fund raiser activity (in the Times, 2 June 1828). We can follow his cheese-mongering career from the records of the Old Bailey, London, as prosecutions for the theft of his cheeses (and other small goods), reached court many times from 1813 to 1828 (and of his son’s trading from the same premises in 1832). 1828, bacon again (it appears it’s displayed in the front window and easy to grab). Henry dies ‘in business’ (which I assume means he did not retire) on 11 October 1831 – he was 61 years of age. He was buried at the Hackney Parish Churchyard. Henry & Mary had 18 Children – they have their own page. Watchmaker, Silversmith, Maltster, Shopkeeper, Banker, Bankrupt, Agent and advisor to the Duke of Newcastle, Bailiff of Seaford, Jurat, Magistrate for the County of Sussex, and Ironmonger. Oldest son of Thomas Harben, a clockmaker of Cliff, near Lewes. Thomas Harben followed his father’s profession – although he advertised his services as a watchmaker and silversmith (described as such in 1764). He married in 1766, Elizabeth, youngest daughter of Henry Playstead, a yeoman of Jevington. She is described in the Sussex Advertiser’s notice of the marriage as ‘a very agreeable young lady with a handsome fortune.’ She was born in 1746, she died in 1805. Above, a portrait of Thomas Harben, painted about 1770. 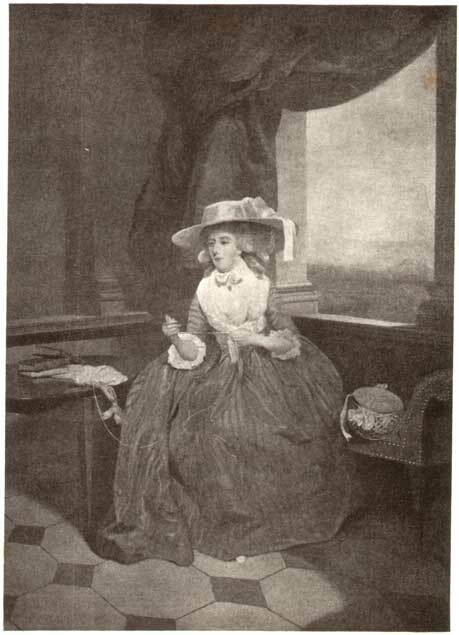 Left: Elizabeth Harben (nee Playstead) painted around 1770. The Duke of Newcastle died in 1768. But, Thomas continues the same relationship with his successor, Thomas Pelham – who dies in 1805. By 1773 he is advertising to buy light gold coin. This suggests that he was successful and either making more expensive time-pieces or other precious metal items or simply trading in such items. Around 1782 he went into banking in partnership with Thomas Pelham and Bannister Flight to form The Lewes Bank. This is followed by the Brighton and [in 1791] Horsham Banks. Around 1782 he pays the Land Tax on Corsica Hall – which is still in Wellingham. At this stage Corsica Hall has probably been empty for around a decade. I guessing that this purchase is really only for the building materials – perhaps an irresistible bargain? 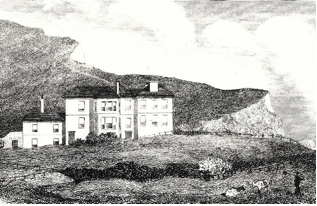 It is unclear when he buys land in Seaford, but to participate in the local politics he rents West House (still standing, in Pelham Road) and on 29 September 1785 he is elected a Freeman of Seaford. It is assumed that that process of dismantling Corsica Hall, then transporting the bricks and building materials to Seaford, and then reassembling them takes much of the period 1782 to 1786. It is unlikely that the work was done continuously as the laborers appear to have a dual role in this period – completing the work and as votes controlled in local politics. It is quite possible that there was a financial (and certainly a political) benefit to Thomas Harben in when laborers were employed. Sir Thomas Pelham, was born on 28 February 1728. He was the son of Thomas Pelham and Annetta Bridges. He married Anne Frankland in 1754 at Mortlake, Surrey, England. He died on 8 January 1805 at Stanmer, Sussex, England. Sir Thomas Pelham, 1st Earl of Chichester held the office of Member of Parliament (M.P.) (Whig) for Rye between 1749 and 1754. He held the office of Commissioner of Trade between 1754 and 1761. He held the office of Member of Parliament (M.P.) for Sussex between 1754 and 1768. He held the office of Lord of the Admiralty from 1761 to 1762. He was invested as a Privy Counsellor (P.C.) on 6 September 1765. He held the office of Comptroller of the Household between 1765 and 1774. He succeeded to the title of 6th Baronet Pelham, of Laughton, co. Sussex on 17 November 1768. He succeeded to the title of 2nd Baron Pelham of Stanmer, co. Sussex on 17 November 1768. He held the office of Surveyor-General of Customs of London between 1773 and 1805. He held the office of Chief Justice in Eyre, North of Trent from 1774 to 1775. He held the office of Keeper of the Great Wardrobe between 1775 and 1782. He was created 1st Earl of Chichester on 2 June 1801. In 1790 Thomas took the oath of Jurat and on 29 September 1790, elected as the town’s Bailiff (roughly equivalent to role of a town’s Mayor). In 1793 all three of his banks stop payment. Thomas places all his assets with the receiver and with the assistance of some major lenders to the banks all debts are paid in full. In November 1794, Thomas Harben is ‘commissioned’ Bankrupt in the London Gazette. This is not supported by his creditors and is superseded. I have not yet resolved the exact circumstances of Thomas Harben’s “reversal of fortune.” His banks did stop payment. It appears that this was a cash flow problem and that the bank assets where larger than liabilities – leading to the bank’s creditors eventually being repaid. Of Thomas’s personal bankruptcy things are, however, less clear and appear disputed. 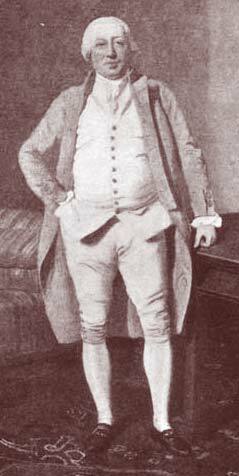 “The Mr. Harben whose reverse of fortune is here referred to, [his bank’s stopping payment in 1793] was in the early part of his life considered a man of strictly religious character; but rising afterwards to affluence and a more elevated station in society, his habits and pursuits underwent that change which is too commonly attendant on worldly prosperity, though in consequence of his generous disposition, his dignified person and pleasing affability of manners, he was still looked up to and beloved by many. He was at one time on terms of intimacy with the Duke of Newcastle, who had considerable property in and about Lewes, and during a part of the year resided at a seat of his in the neighbourhood. In 1796 he is elected the town’s Bailiff, again. And, in the same year his eldest son, Thomas Henry Harben, becomes a Sussex Magistrate. In 1801 he is elected the town’s Bailiff, for the third time. In 1803, he dies at the house of his son-in-law, the Rev. Edward Langford, in Isleworth. An account of his life and in particular the public fight with Sir Godfrey Webster over his appointment as a magistrate is covered in Austen Chamberlain’s “Notes on the families of Chamberlain and Harben”. An unflattering account of his political approach (and success) is covered in “The Representative History of Great Britain and Ireland: Being a History of the House of Commons” which can be read in full on Google Books. Thomas Harben was a Clockmaker in Cliff, near Lewes, in Sussex. He was apprenticed in June 1724, at the age of 14, for seven years, to Thomas Barratt, a clockmaker of Lewes. 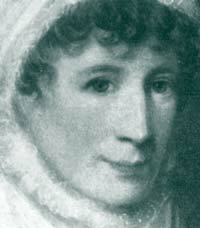 There is reference to Mary Gatland (1715-1772) being his second wife – with whom he had all his five children (another family history states 8 children). I can find no record of his first wife. I doubt he divorced (despite Henry the 8th this was still a largely unheard of occurrence) it is quite likely she died – perhaps of small pox as this was still prevalent. Mary Gatland was the daughter of Gerhard Gatland, yeoman of South Malling part of Lewes. Some of the Harben Clocks survive and can be viewed here. Another is in the museum of the Sussex Archaeological Society at Anne of Cleves House, Lewes. Thomas. Lewes, 1772. Watch. Son & Jesse. Lewes. 1793 Firm with Thos. James Harben (alive in 1786) a ‘Hatter’ (literally the manufacture of hats) and is listed as such for Lewes, in the Universal British Directory / Gentry and Traders 1793 – 1798. A possible son, James Harben, appears in the records, born about 1777 and in 1790 is listed in the Pauper Apprenticeships for the Lewes Parishes, as being apprenticed at the age of 13, to Alexander Bridges, a Mariner of Lewes. It is reported, in many places, that this Thomas Harben came into good fortune on the wreck of the Spanish ship “Nympha Americana”. Which was blown ashore on the Sussex coast in December 1747 between Birling Gap and Cuckmere. And, that he used the proceeds to relocate Corsica Hall to Lewes. The evidence collected by Joan Astell and published by the Seaford Museum as ‘The Spanish Prize’ in 1972, shows that it is highly unlikely that Thomas Harben had any benefit from this wreck – his will only lists Cliff property. And, that there was no Harben involvement in Corsica Hall until 1782, some sixteen years after Thomas Harben’s death. 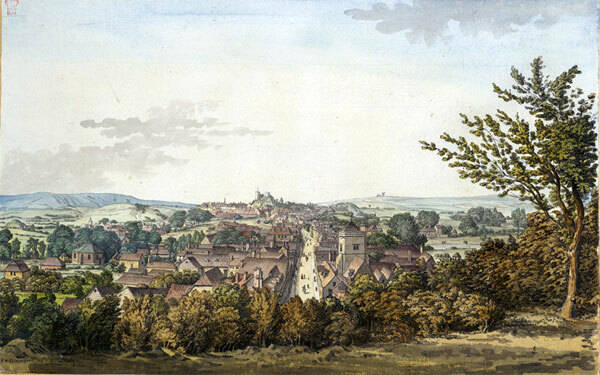 Above: A watercolour bird’s-eye view of the town of Lewes in (East) Sussex and ‘the Cliffe with the adjacent country taken from Baldry’s Garden in the Cliffe’ drawn in 1785 by S.H. Grimm. 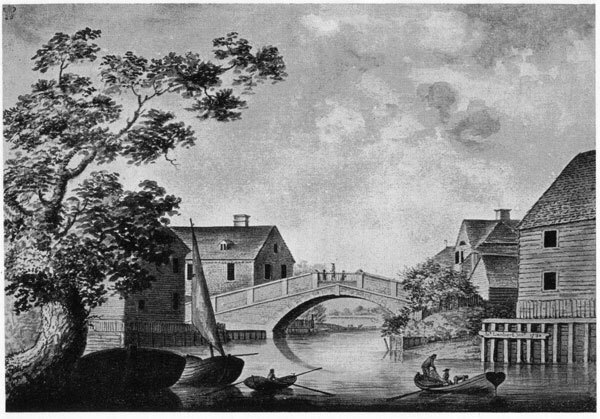 Above, the Lewes Bridge 1782. According to the Sussex Marriage Records he was a maltster, of Southover, and Mary Cheeseman was from Ringmer, Sussex. Mary dies in 1723 and at some point after 1724 Charles and surviving family settle in Cliffe, Lewes. Charles Harben, born about 1703/4, married Hannah Hammond, 26 October 1725, Sussex. According to their Marriage Licence he was a Maltster of Cliffe and she a spinster from Lewes. While nothing is yet known of Charles Harben’s parents, according to Sir Austen Chamberlain’s 1915 book Notes of the families of Chamberlain and Harben the Harben’s believed that they originated from Somerset and then migrated to Sussex in the 17th Century. It is hard to gauge the likelihood of this being correct as this book has on closer investigation not been very accurate on this generation of the Harbens. There are appearances of Harben’s and Cheeseman’s in the parish records around Lewes dating back to 1596. My assumption is that this is far as we can currently go with this family line.